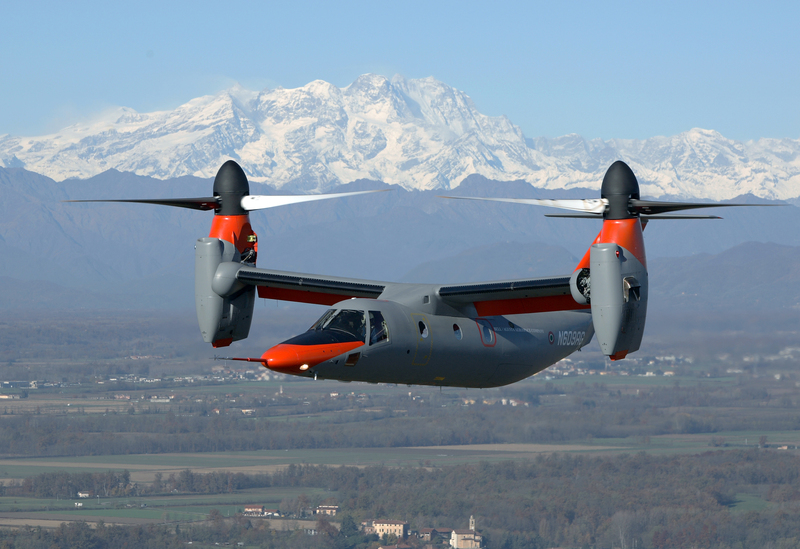 AW609 twin-engined tiltrotor prototype number 2 crashed and burst into flames near Santhià, Italy during high speed trials. Both occupants, one Italian and one US test pilot, died in the crash. Flightradar24 tracking data shows N609AG operating in the area of Santhià at the time of the accident. Last recorded data by Flightradar24 show the aircraft at 4349 feet at 09:43 hours UTC. ANSV says the crew commenced the third high speed dive with a 180° left turn, aiming for a speed of 293 knots. On roll-out they observed “slight lateral-direction oscillations”. The crew believed they were “self-damping”. The Pilot Flying attempted to correct the roll with “counterphase input roll manoeuvres and then pedal inputs” as they grew in amplitude and frequency. "However these actions did not dampen the oscillations, which instead became divergent, bringing the sideslip angle to reach values above the maximum allowed in those speed conditions". The flight control laws had the unintended effect of amplifying the oscillations and the sideslip reached 10.5° (6.5° greater than the limit) in just a few seconds. The investigators have “reasonable certainty” that the in-flight break-up was caused by “multiple contacts of the proprotors with the aircraft wings”, says ANSV. This, in turn, severed fuel and hydraulic lines in the leading edge of the wings, triggering a fire.